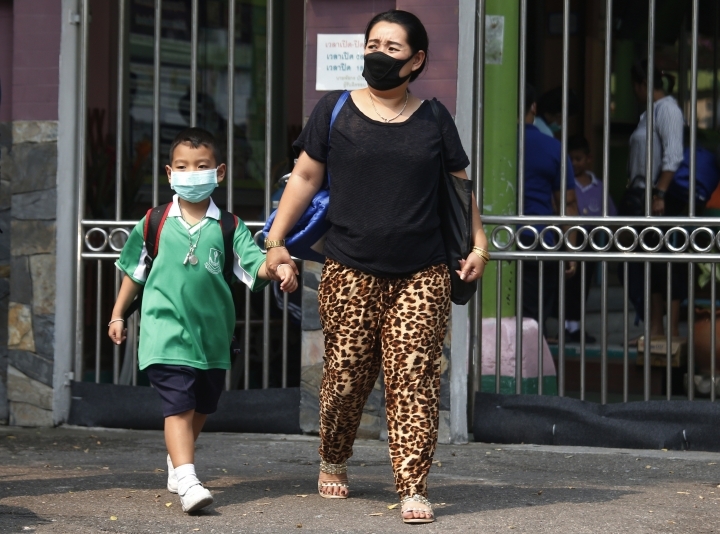 BANGKOK — More than 400 schools in Thailand's capital, Bangkok, were shut for the rest of the week Wednesday due to increasing concern over dangerously unhealthy air pollution. 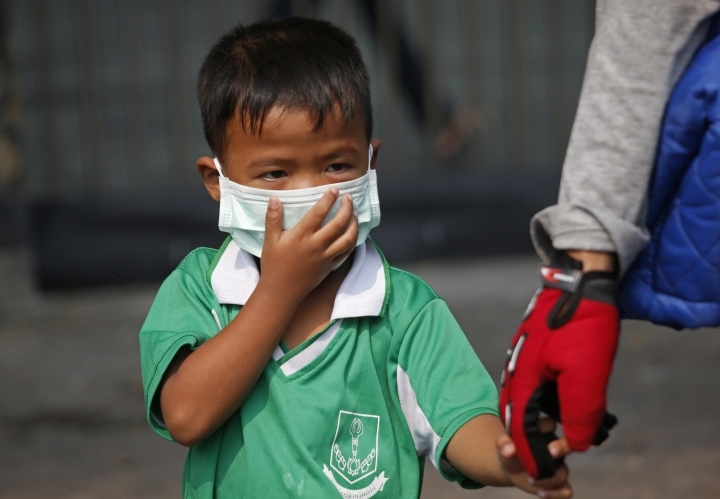 Faced with public discontent as well as a possible health crisis, Police Gen. Asawin Kwanmuang, the city's governor, also declared the city a "pollution control zone," allowing authorities to take legal measures to combat the threat, including road closings and diversions. Violators of orders to curb pollution, which could include limits on diesel exhaust, outdoor burning and construction activities, could face up to three months in prison. 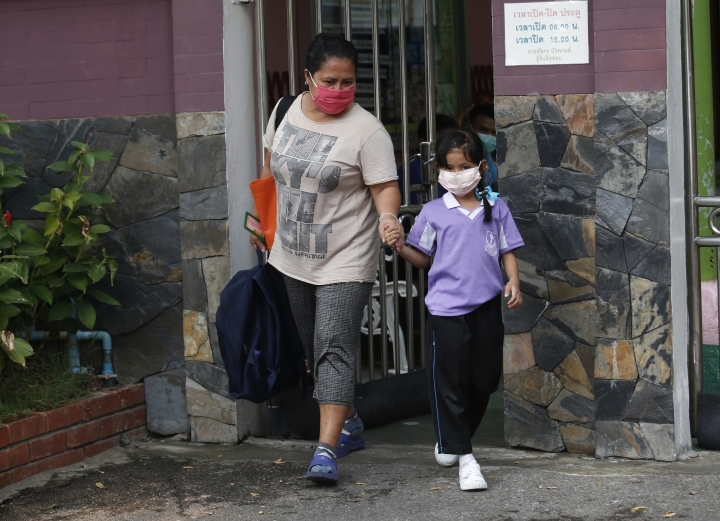 Prime Minister Prayuth Chan-ocha directed Asawin to order the closure of 437 schools after officials said the pollution would continue until next Monday. They said still air and heavy traffic are causing a buildup of particles in the air. 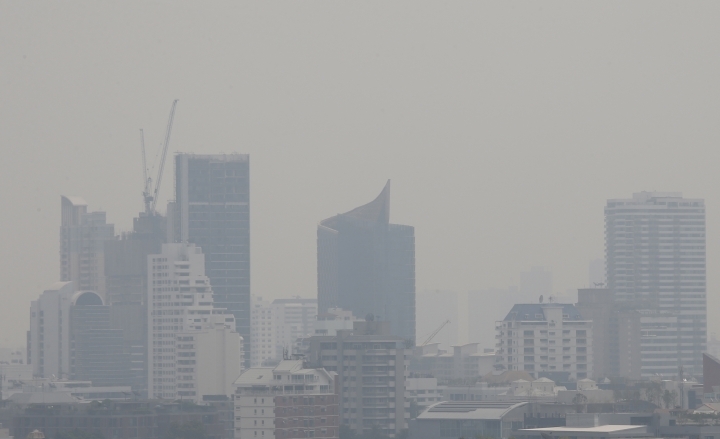 The Pollution Control Department said the amount of especially dangerous tiny "PM 2.5" particles has risen in all areas in and around Bangkok since Monday. "We decided to eliminate the problem by closing down the schools," Asawin said. "We're afraid that it can be dangerous for the children." Technical colleges are included among the closed institutions but universities are still considering what to do. Mongkolsak Lajina, the father of a 5-year-old student, suggested that closing schools was a token gesture. "I don't think it will help much. It helps that students do not have to commute to schools," he said. "But we need better measures to effectively deal with this problem." The Public Health Ministry said people should refrain from outdoor activities and exercise, and look instead for indoor venues. 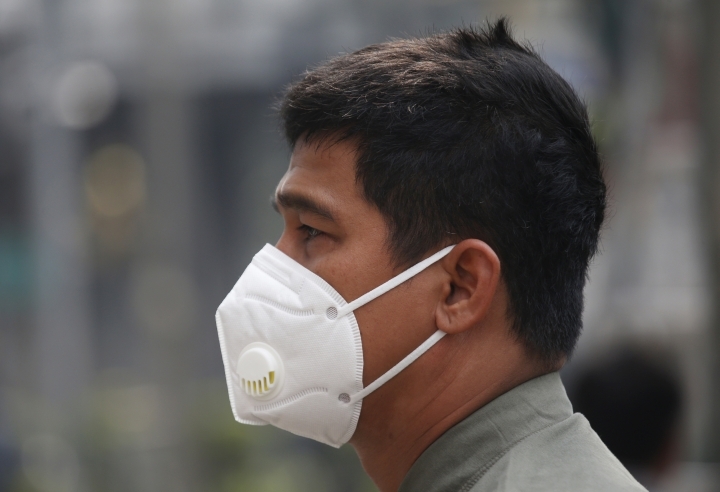 Many commuters and pedestrians have begun wearing face masks. 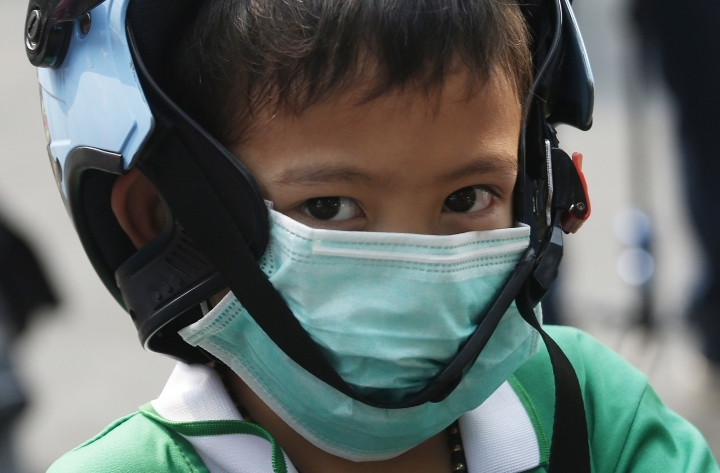 "These measures will help only temporarily," said Aek Pongpairoj, a doctor living in Bangkok. "If we want a long-lasting solution, all sectors must be involved, not just government agencies; for example, the private sector involving construction. There are so many construction sites and I can see that preventive measures aren't enough." Pollution levels also rose elsewhere in Thailand, bringing a heavy haze to Chiang Mai and other northern areas well ahead of the annual "smoky season" that normally begins in late February, when farmers burn agricultural waste and dry weather allows airborne particles to accumulate. 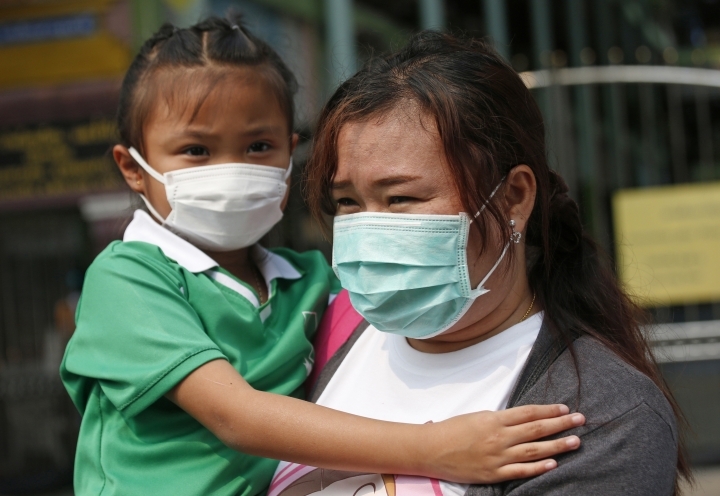 Efforts to reduce the pollution level in Bangkok by hosing down roads and spraying water in the air have been criticized as ineffective. People were asked to limit open-air burning of materials, and have even been advised to use shorter incense sticks in upcoming Lunar New Year celebrations. This story has been corrected to show that Bangkok's governor has the rank of police general, not colonel.